The 1969 Isle of Wight Festival was Bob Dylan’s one and only full concert appearance in seven-and-a-half years and played its part in a highly transformative period of the artist’s life. 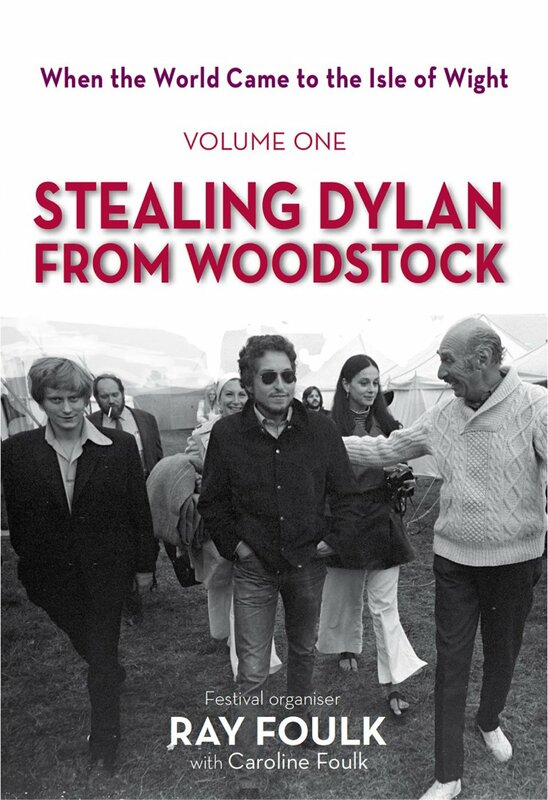 Stealing Dylan from Woodstock tells, from a unique perspective, of an extraordinary event which seismically altered the lives of the author, his family, all those involved with it and many of those who attended. For a time, the Isle of Wight Festivals transformed a sleepy English island into the rock’n’roll capital of the world. What started in 1968 as a parochial one-nighter in a stubble field to raise funds for a local swimming pool, a year later ballooned into a massive outdoor gathering. Numbers sky-rocketed as devotees flocked to the Island from mainland Britain, Europe, the Americas and as far away as Australia, to pay homage to rock’s poet laureate, Bob Dylan. The reclusive star had been holed up in the artist-town of Woodstock for more than three years, following a serious motorcycle accident. He toyed with playing the Woodstock festival brought to his own front door but it was the Foulk brothers who succeeded where all others failed, luring Dylan 3,000 miles away from home to their Island, to create a Woodstock of his own. Landing the music biz coup of the decade, the three Foulk brothers, a printer, an estate agent and an art student became pioneers in pop promotion by signing for the world exclusive appearance of the reluctant ‘voice of his generation’. For the organisers, short on experience, resources and time, the ensuing public response was almost overwhelming, and the challenge of delivering the most eagerly-awaited musical event of the era daunting. The world’s media covered the phenomena, gave the event global coverage and marked it as a suitable climax as the swinging sixties drew to a close. This entry was posted on 19 March, 2015 in homepage and tagged 1969, Bob Dylan, Caroline Foulk, Isle of Wight Festival, Medina Publishing, Ray Foulk, Woodstock Festival. Bookmark the permalink. I was there, and managed to get back stage. Remember seeing John and Yoko arriving, as well as George Harrison. The Band came on first and played a blinder. Bob seemed a bit nervous. It wasn’t a brilliant concert, unlike the 1965 Albert Hall appearance, which I was also fortunate to attend. Ah, memories!